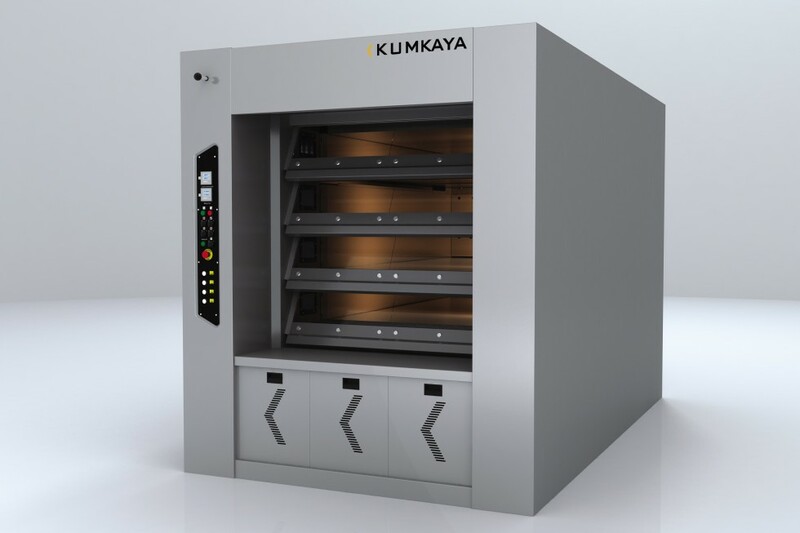 Stone based multi-deck tube ovens allow to obtain cakes closest in taste and aroma to products that are baked in the old furnaces. The heating element is used as a system of special steam pipes disposed at the top and bottom of the floor. Due to working inside the camera creates the optimum temperature for uniform and balanced preparation of bakery products. For each oven’s floor system provides individual steam self-control. Special flameproof units of which create the camera possess high strength and allow to use different types of fuel such as solid, liquid or gaseous. At the same time fuel consumption is low due to excellent thermal insulation of fiberglass and refractory concrete. Side panels and front of the oven are manufactured of stainless steel like AISI 304 (GOST 08X18H10) which imparts equipment strength, durability and an attractive, decorative type.